When I think of make up looks for the festive season I think of one thing... Sparkle! 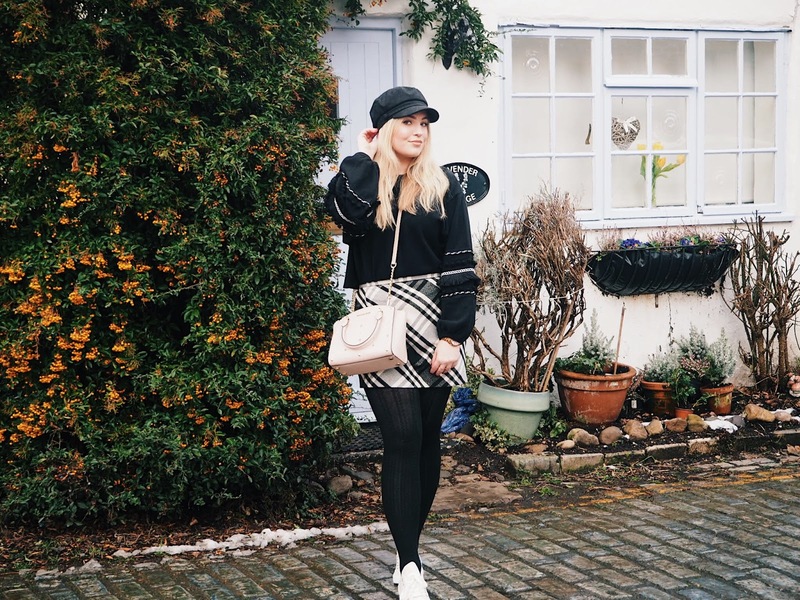 So today I've decided to show you all my favourite products for giving a bit (a lot) of sparkle this season. If you read my post on the Whisper of Gilt highlighter and the Shimmer and Spice lipstick that I picked up from Mac's Snowball collection then you'll know how excited I was to use these for the festive season and they are definitely living up to expectations! I've used the highlighter pretty much everyday since I got it (as you can probably tell!) and it gives the perfect healthy yet blinding glow! And the lipstick is such a gorgeous plum shade and the rosey gold sparkles shining through just screams Christmas. 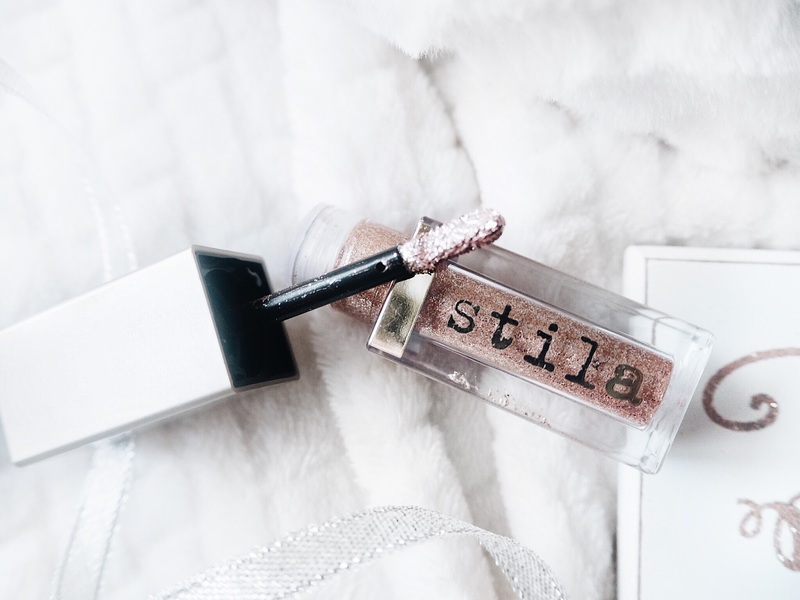 I've got some more shades of Stila's Magnificent Metals liquid eyeshadows on my Christmas wish list this year. There really is no other product I can find that compares, the glittery flecks reflect so amazingly when the light hits them and totally makes your eyes pop. I love a good glitter topper for my nails this time of year so these Essie nail varnishes in the shades Summit of Style and Sparkle on Top get used non stop! I especially love Sparkle on Top as it reminds me of snowflakes. 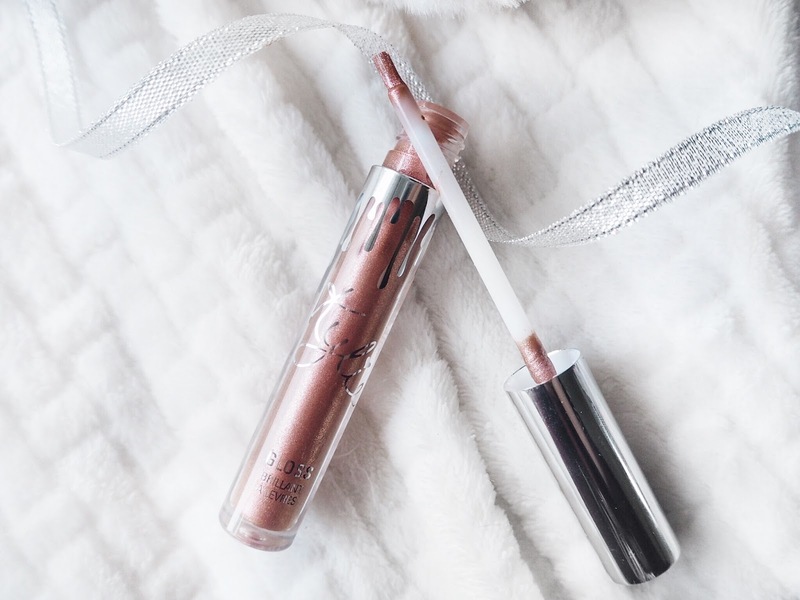 And last but definitely not least, my Kylie Cosmetics lipgloss in the shade Cupid is making a reappearance this season. 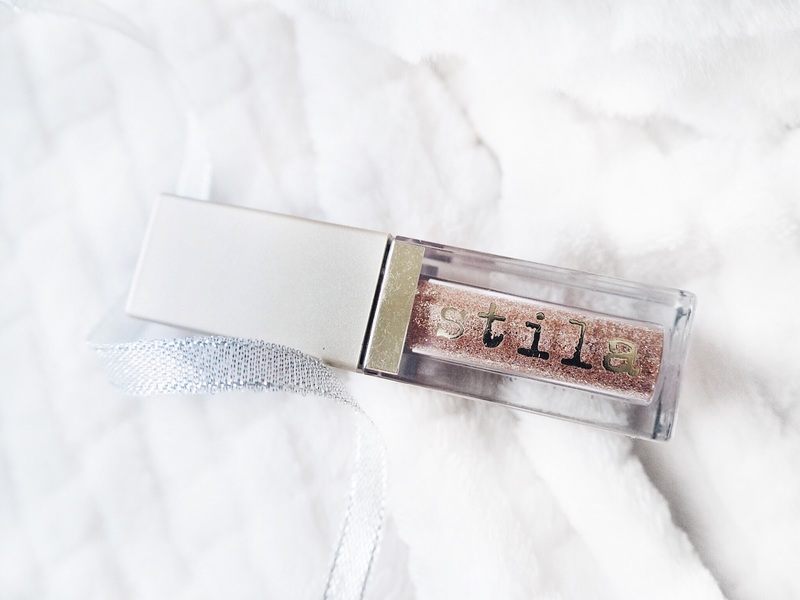 As it's infused with actual diamond powder, it creates the prettiest, rosey, glittery lip. Love! So those are my favourite products for adding a bit of sparkle to my make up throughout the Christmas period, what are yours? Let me know in the comments! The Mac snowball collection looks incredible! I bet you don't want to ruin the snowflake on top of the highlighter! !